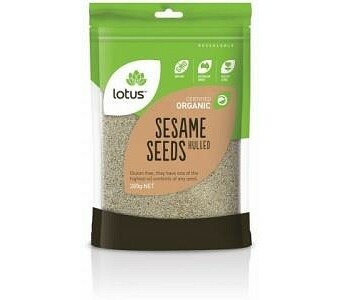 Lotus Organic Hulled Sesame Seeds are gluten free, and have one of the highest oil contents of any seed. Ingredients: Organic Hulled Sesame Seeds. Certified Organic by ACO.